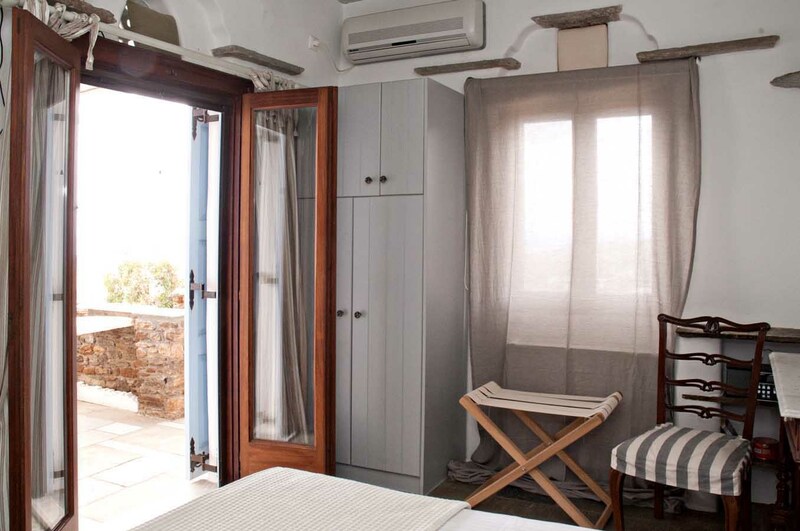 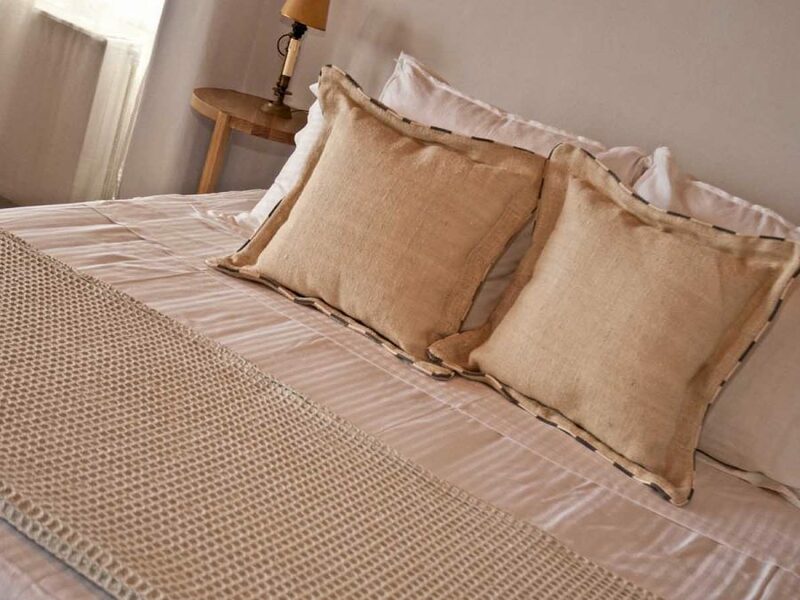 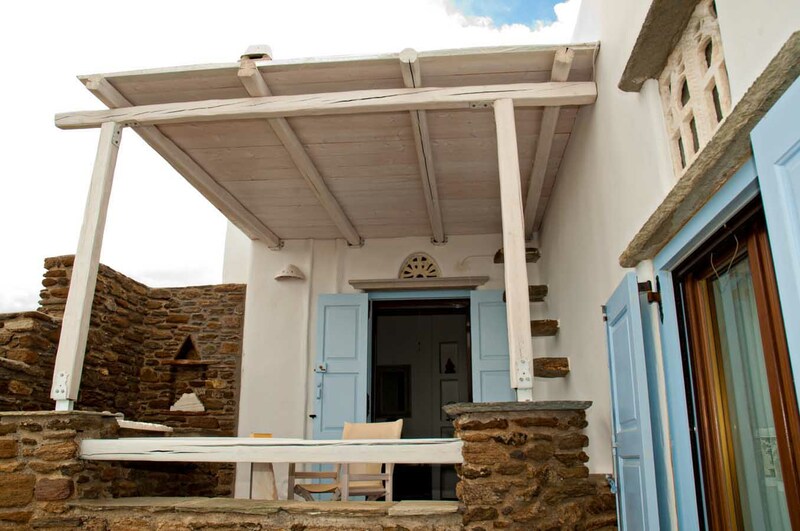 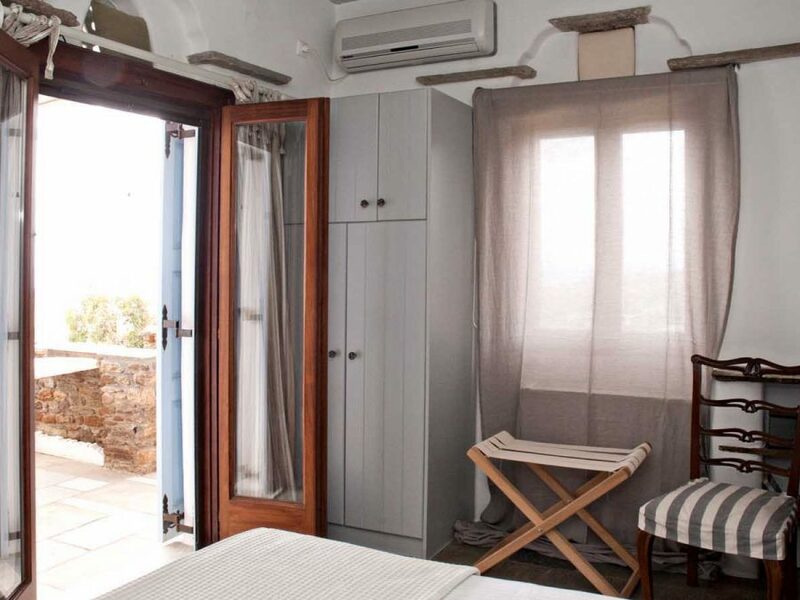 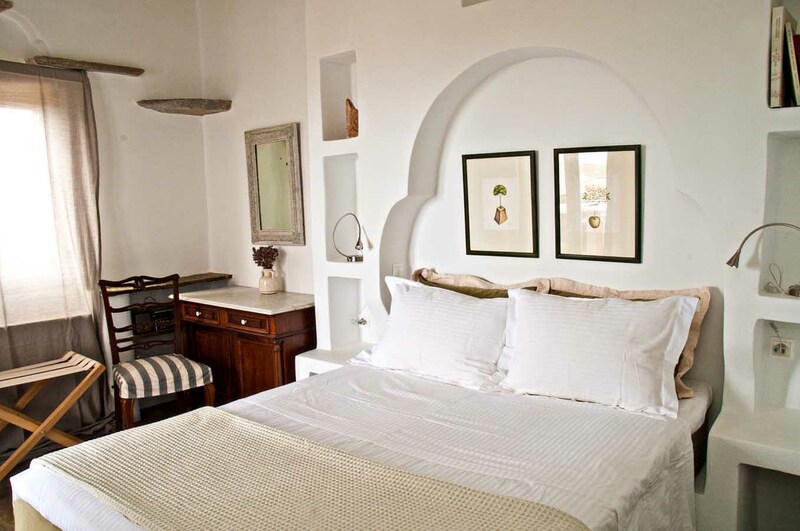 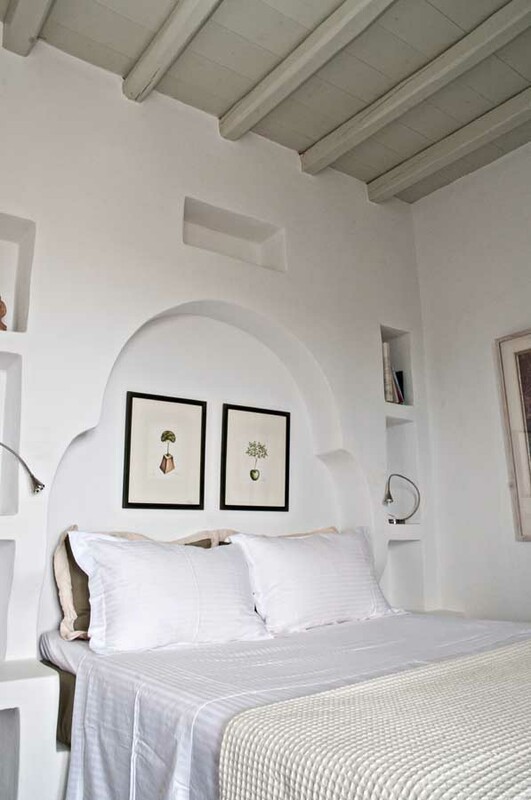 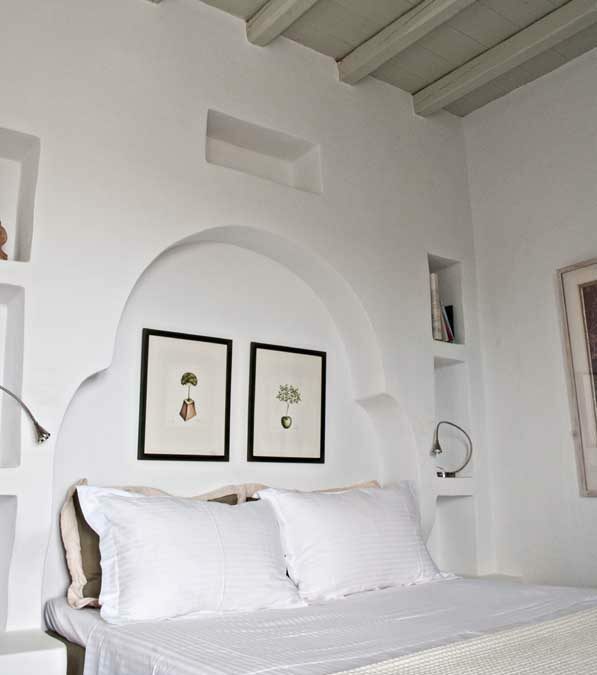 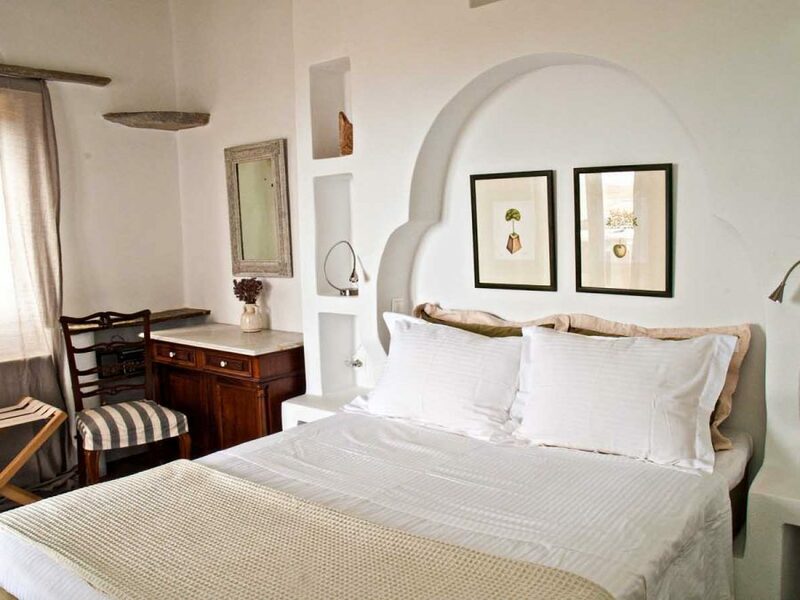 The SYROS studio is a beautiful space with a comfortable built-in double bed with a mattress and pillows by COCO-MAT. 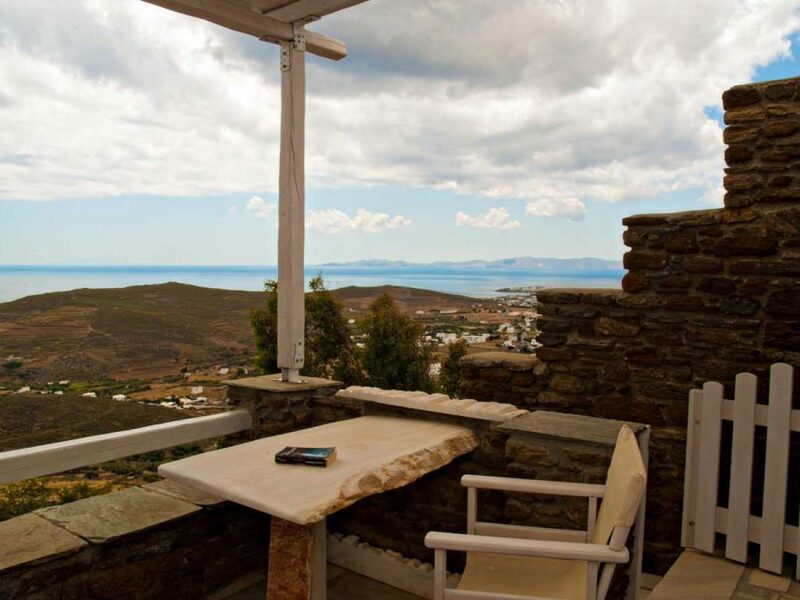 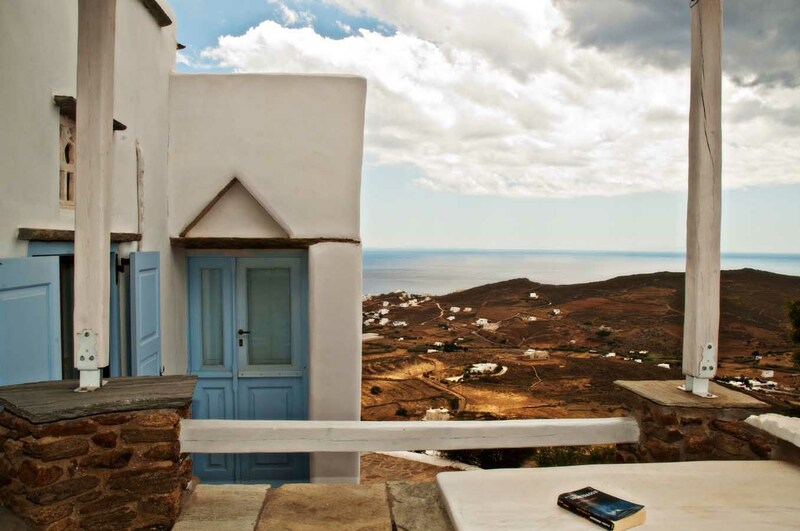 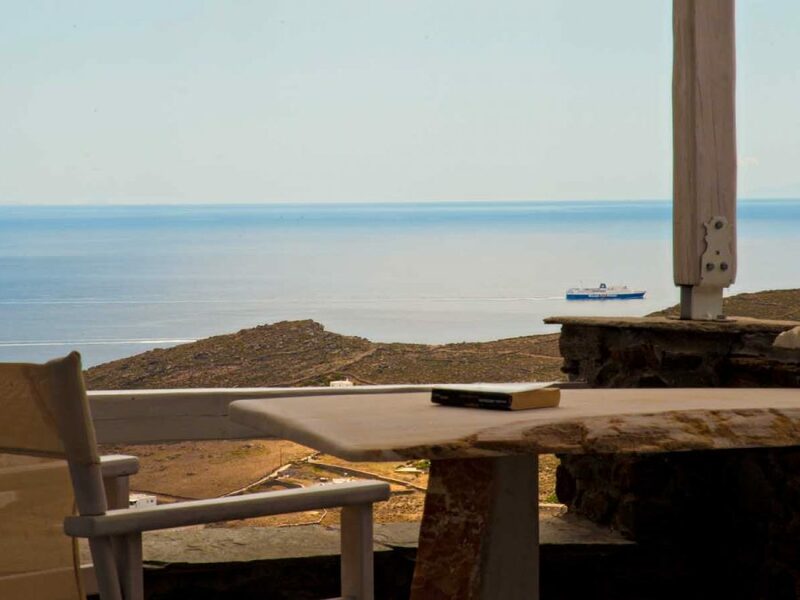 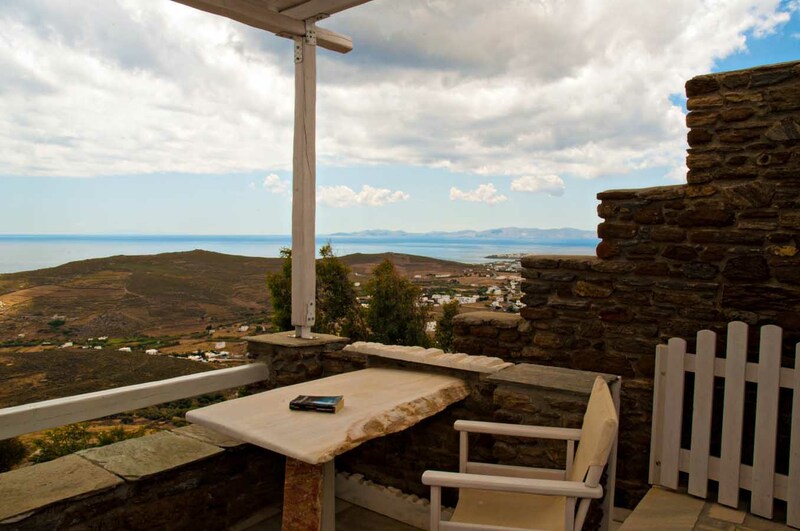 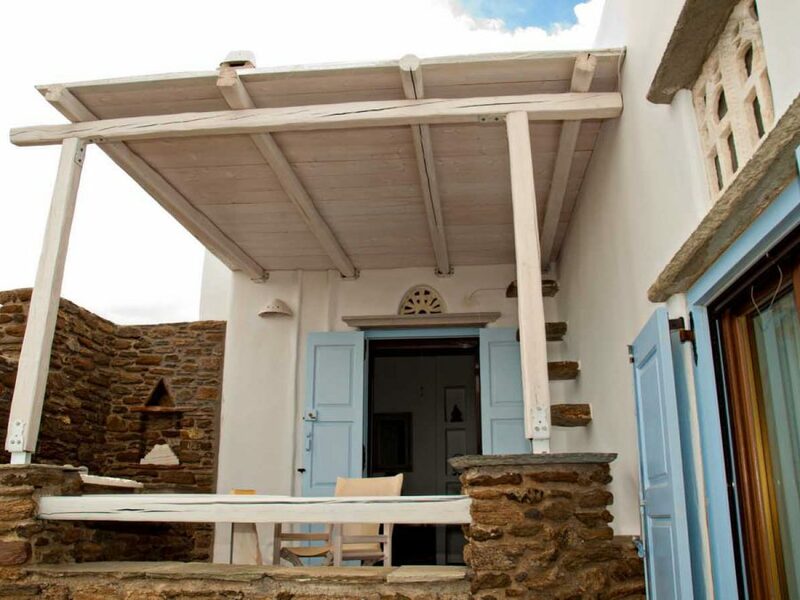 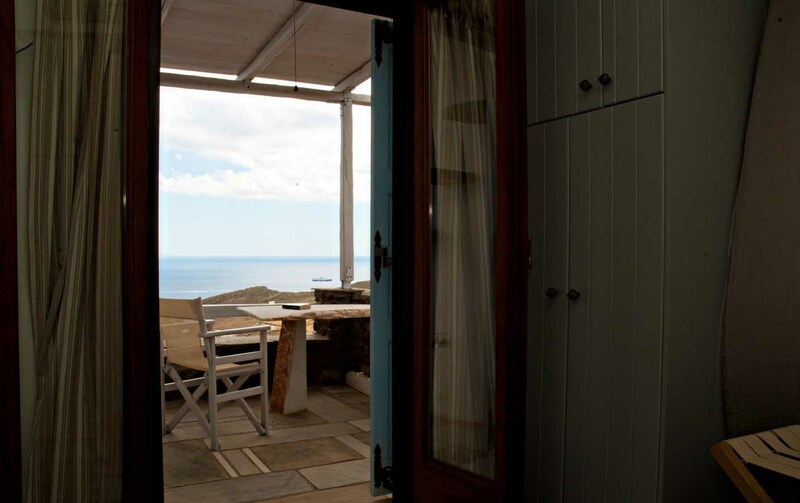 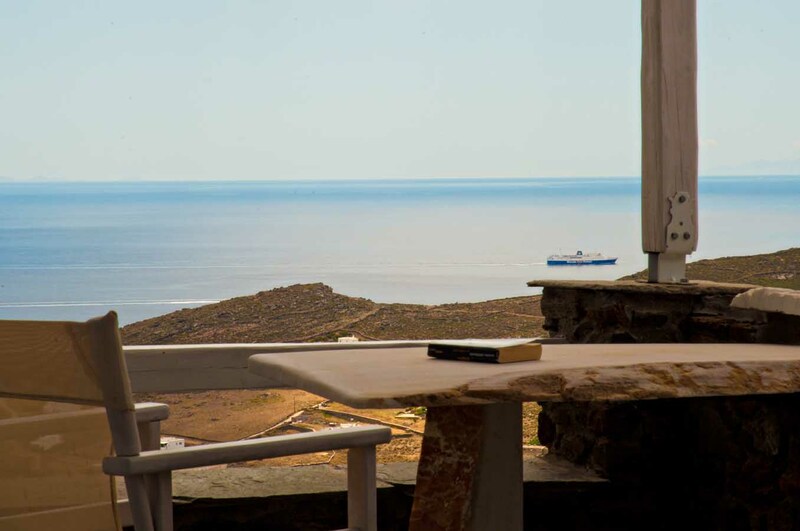 A living-room space with a marble table and two wooden armchairs sit on its leeward and covered terrace, inviting you to enjoy your breakfast or drink.On the walls you will find engravings by Christos Santamouris, which give the area a unique look, while the view of Syros from the studio explains the name of the studio. 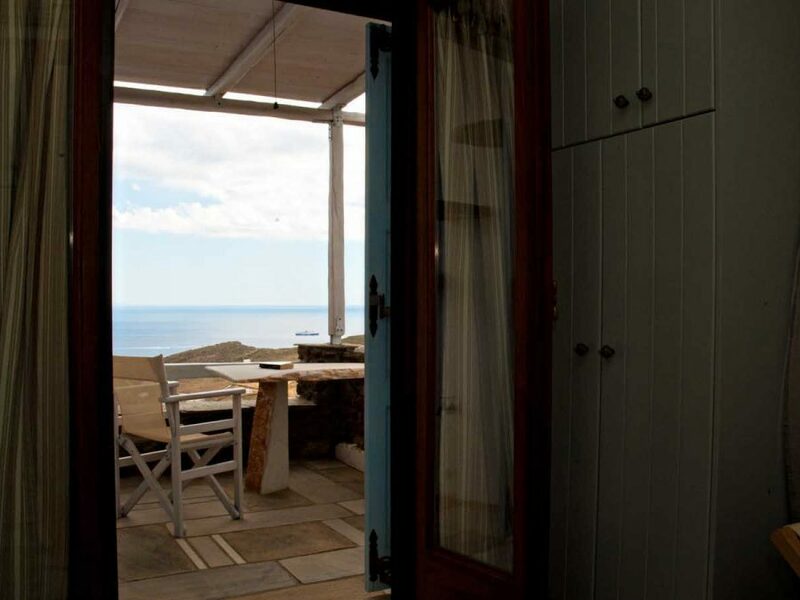 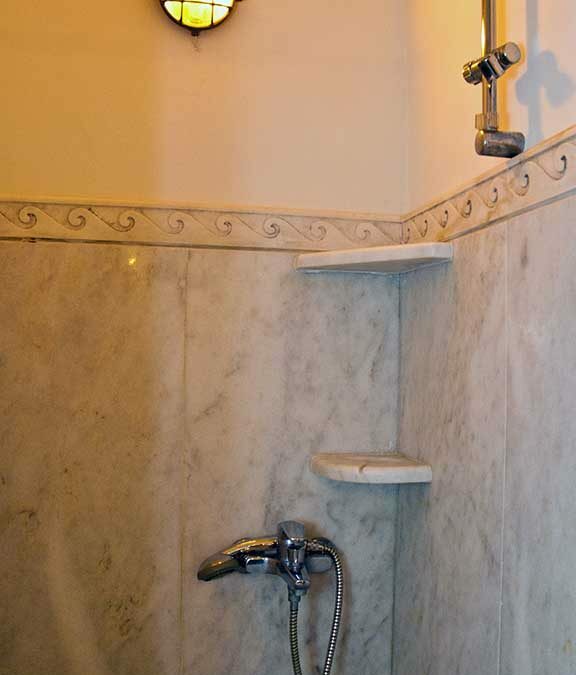 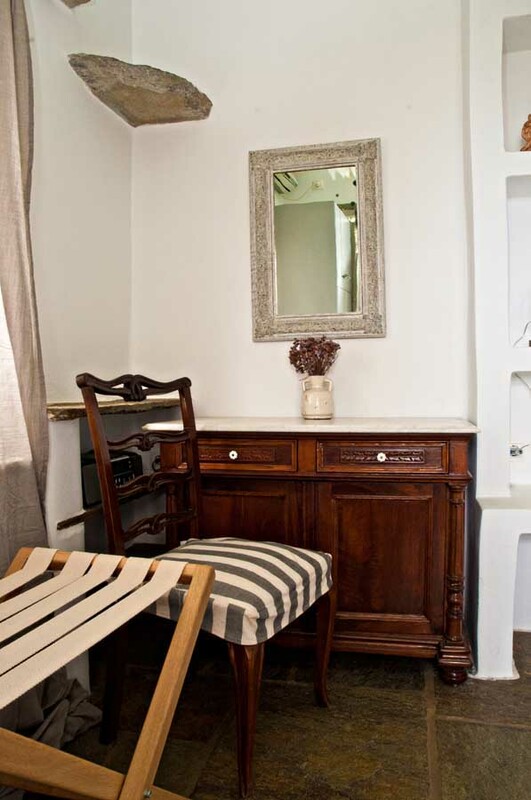 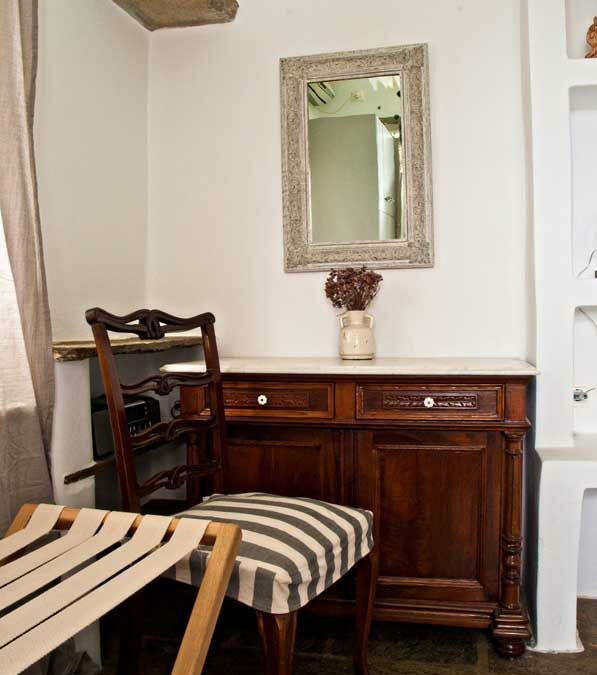 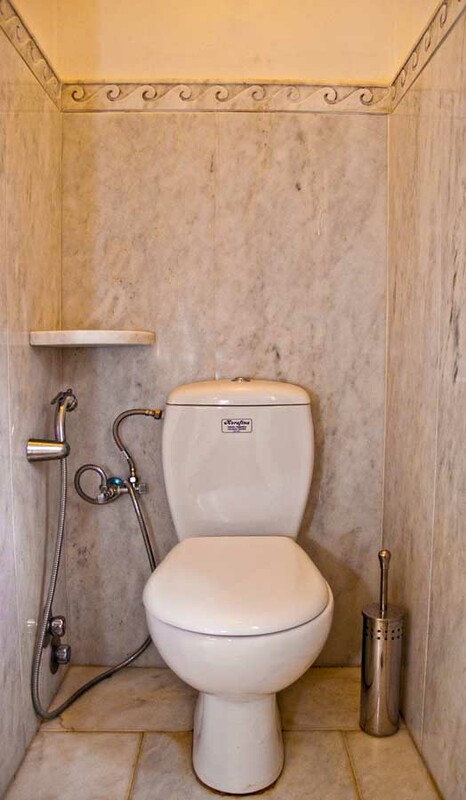 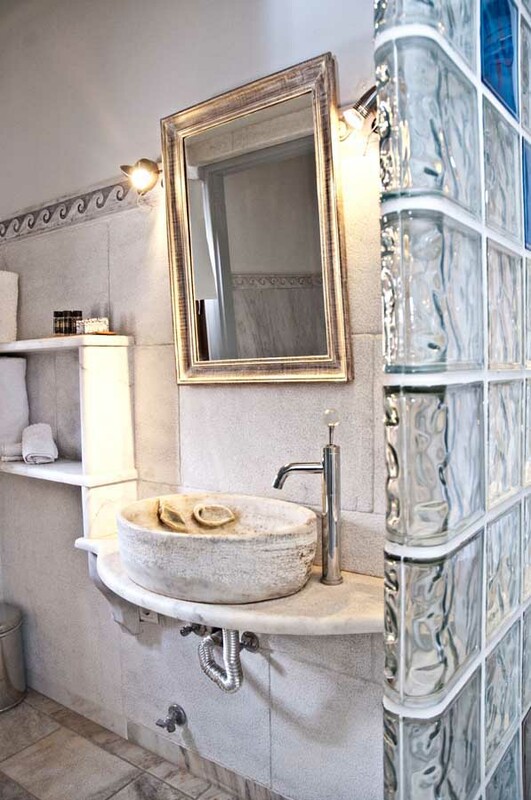 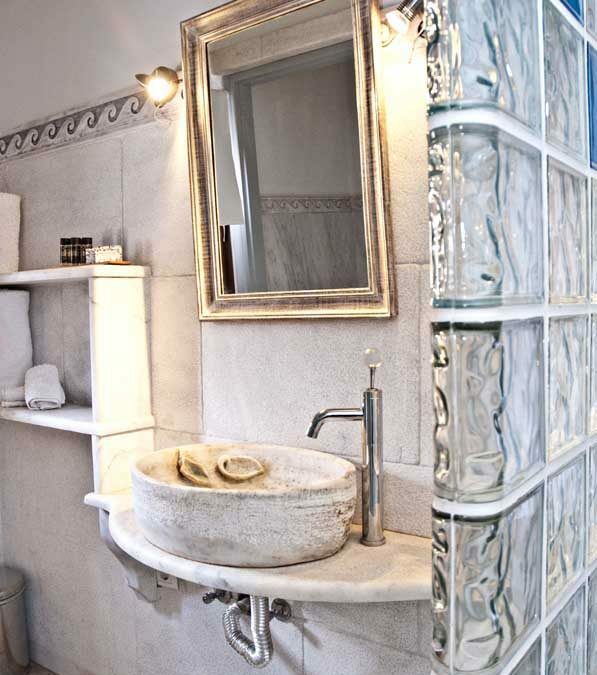 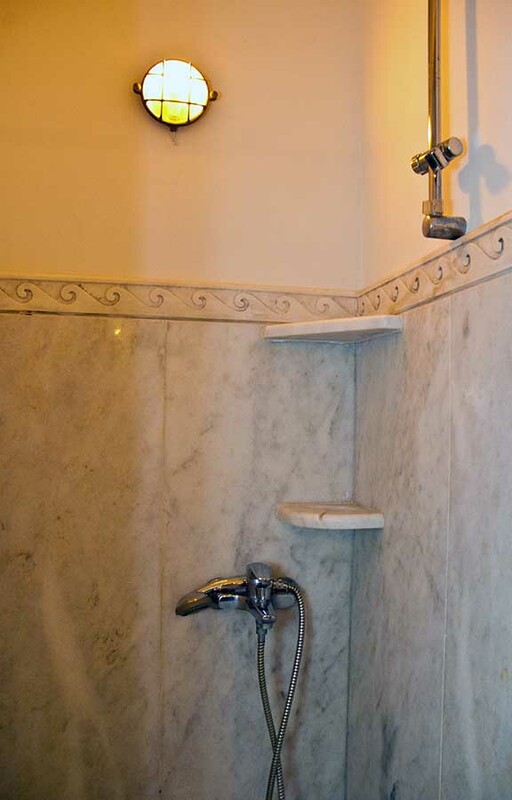 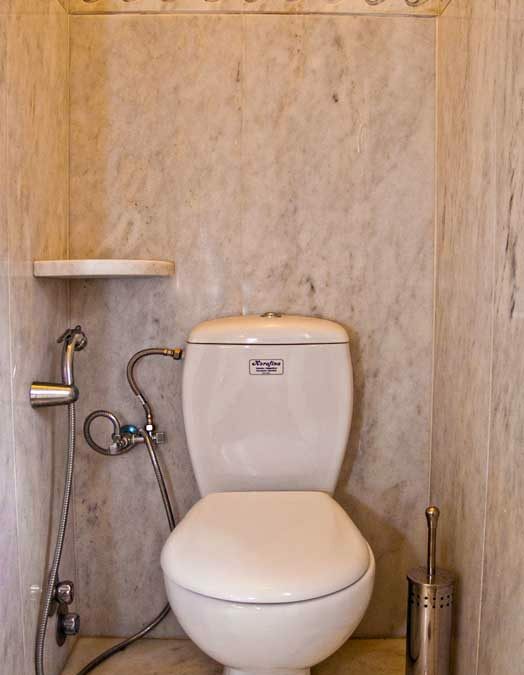 Its amenities include air conditioning, a satellite TV, a fridge, and a WC with shower.The studio “SYROS” is 22 sq.m. 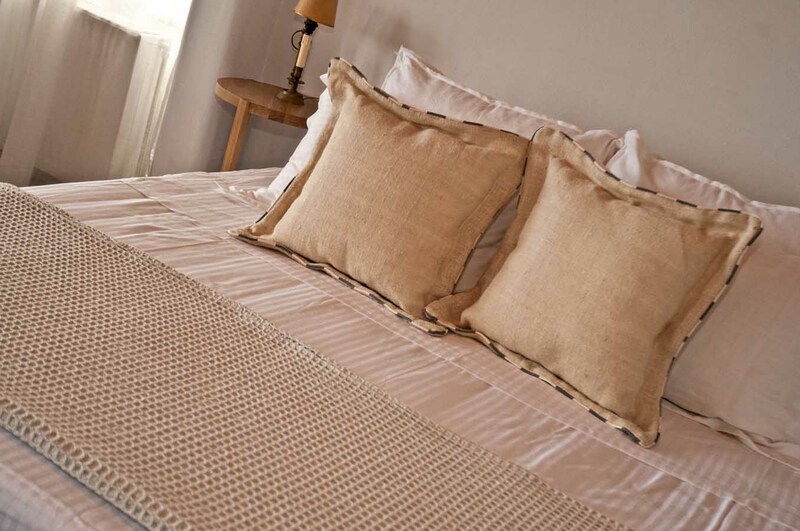 We can also accommodate your pets, subject to previous arrangement with the manager.